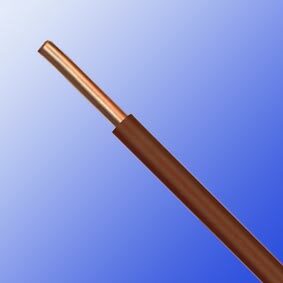 These cables are designed for the internal wiring of switchboards and distributor boards with an alternating nominal voltage up to 1000 Volts or a direct voltage up to 750 volts. Generally install in pipes or ducts and internal wiring of appliances with maximum operating temperature of 90º C, and generally in areas (such as public and government buildings) where smoke and toxic fumes may cause a threat to life and equipment. The cables produce no corrosive gasses when burnt which is particularly important where electronic equipment is installed.